I love rock star romance books. 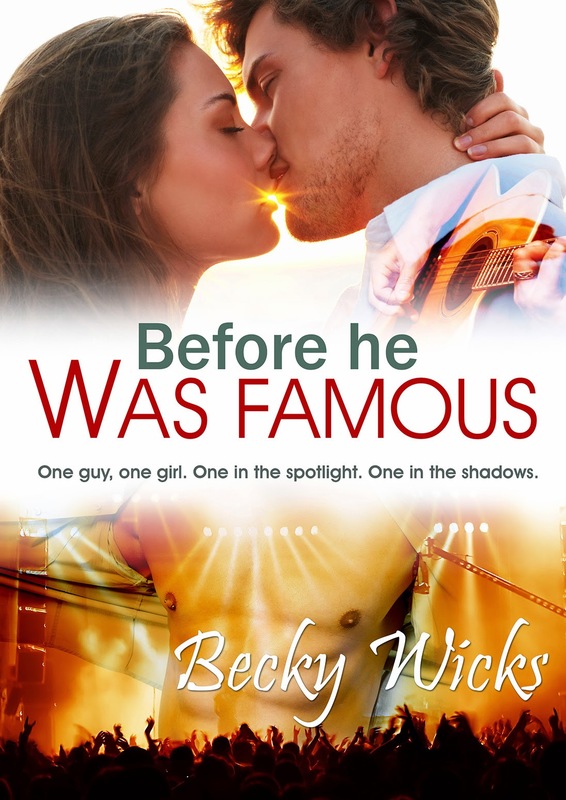 I just added Before He Was Famous by Becky Wicks to my reading list. Check out the synopsis and enter to win 1 of 10 ebook copies! still burn; his voice is still a jackhammer to her heartstrings; all his songs are about her. Is it possible that that night still haunts them both? pull the final curtain on their relationship, both Chloe and Noah must make a choice. media gone very, very wrong. are out now as ebooks. giggle or two... think Bridget Jones if Jackie Collins had written it! more ways than one, right? airplanes; in your Facebook sidebar when you're messaging your friends. But there are some things you don't know about Noah Lockton. anyone else to see him cry. So we sat up there together, neither of us saying a word. together after four cans of Diet Coke and convinced a radio station to put us on air. me back to life again when all I could feel otherwise was numb. You don't know how we avoid the subject now. because of all the stars inside them. Noah was always going to shine. He was always going to be mine. But sometimes even I forget the way things were before he was famous.